Being in the world of 21st century, there are a number of technological developments we have come across and among numerous developments, broadcasting is one of them. The traditional modes of broadcasting have become outdated therefore IPTV – the new technique has emerged. Cable and satellite both function by enabling users to “tune in” to specific channels within that signal and the fundamental difference is that cable is via a wired connection whereas satellite is wireless. Cable TV is Time Warner Cable that is delivered via coaxial cable connection and whereas Satellite TV is from providers like DirecTV that is transmitted and delivered to the viewers via radio waves. The consumer requests and receives TV Shows and Video content is delivered to the viewer via Internet Protocol (IP) based networks instead of cable or satellite. IPTV has the ability to store the programming on servers at transmitting end, allowing users to request the content over the Internet at any time. IPTV is quite similar like browsing internet than using traditional channel surfing. It uses internet protocol – which is a delivery mechanism to deliver the content. When the viewer clicks on any TV program or requests the video, video from different sources (servers) is divided into data packets and sent over the internet. The server transmits the programs through fiber-optic cable. There are different kinds of IPTV architecture or models are used by professionals, depending upon the usage or requirements. 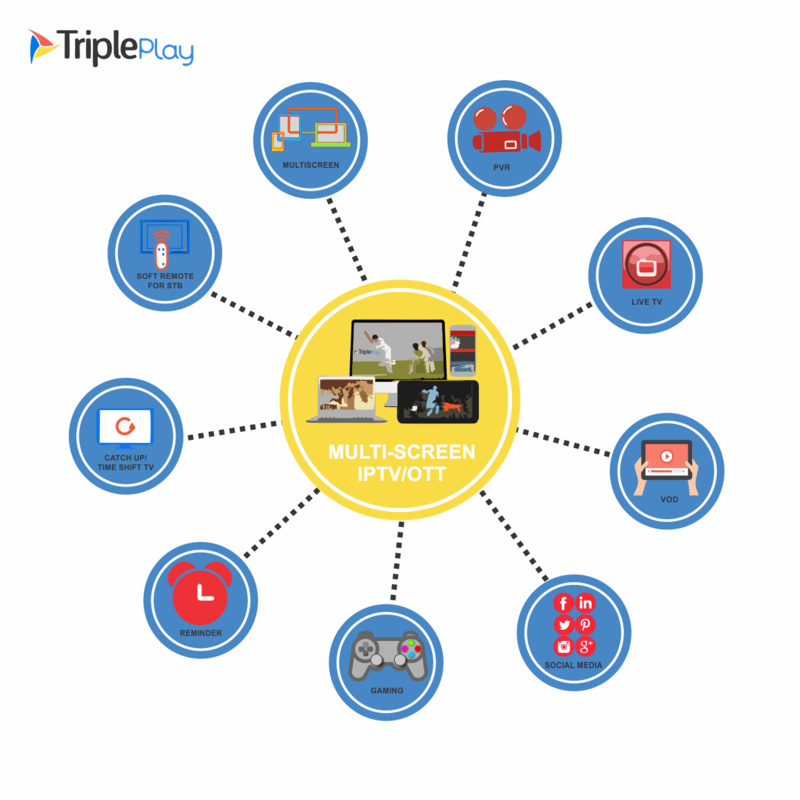 The professional experts at Tripleplay have quite experience in providing all kinds of IPTV service. The professionals make sure to provide the right service and also provide assistance to run it flawlessly. The service offered by the experts is quite easy for users to avail it. Get in touch with the experts to find the right service package as per your requirement and be the part of developed world.